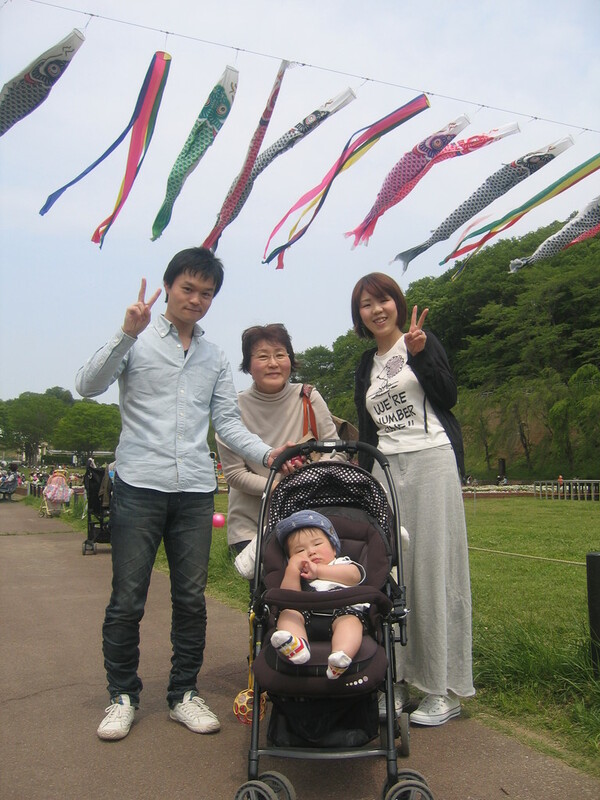 We visited "Children's land" with my elder son's family including their eight months old son. 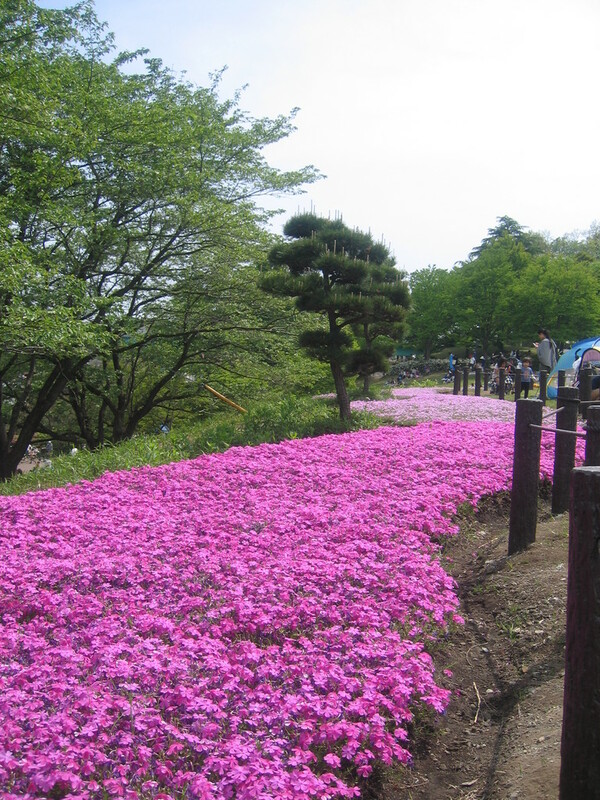 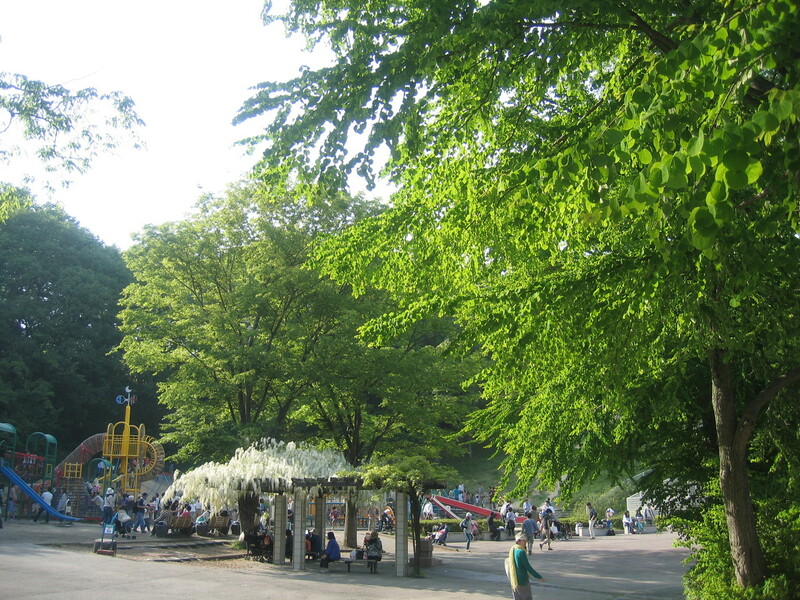 Children's land is a vast natural park-like playground located in the northern part of Yokohama. 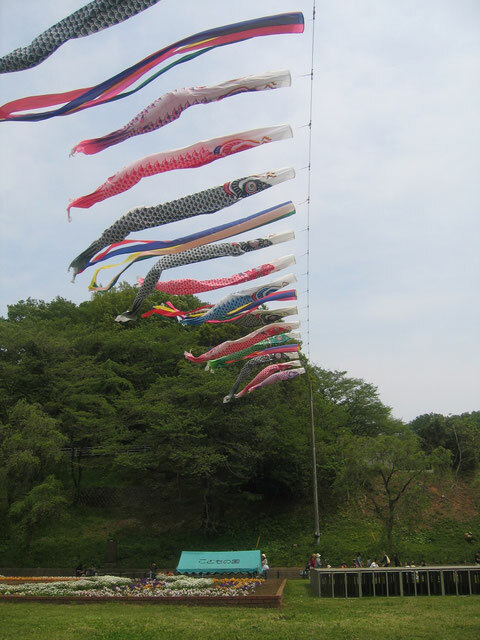 There were carp-shaped streamers flying in the air wishing for a boy's healthy growth, as part of celebrations for Children's day(previously called Boys' day), which falls on May 5 and is a national holiday. 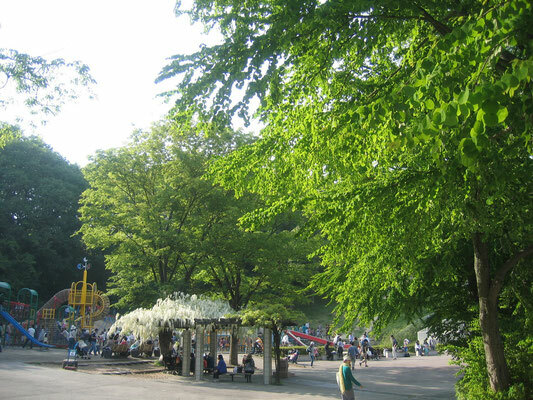 On that day, it's free of charge for children to enter Children's land, of course!